These inKind General Terms and Conditions ("General Terms") are expressly incorporated into and made a part of the Credit Purchase Agreement ("Purchase Agreement") (the Purchase Agreement and these General Terms, collectively, the "Agreement"). 1.1. "Credit"/"House Account Credit" means electronic credit certificates for specified dollar amounts that may be used to purchase food, beverage and other products sold by the F&B Outlet (including items for delivery) and shall be treated the same by the F&B Outlet as any physical gift cards or other electronic gift cards that the F&B Outlet may from time to time sell. 1.2. "Confidential Information" means any information disclosed by either party to the other party, which is designated as "Confidential," "Proprietary" or some similar designation. Notwithstanding the foregoing, Confidential Information shall not include any information which (i) was publicly known and made generally available in the public domain prior to the time of disclosure by the disclosing party; (ii) becomes publicly known and made generally available after disclosure by the disclosing party to the receiving party through no action or inaction of the receiving party; (iii) is already in the possession of the receiving party at the time of disclosure by the disclosing party as shown by the receiving party's files and records prior to the time of disclosure; (iv) is obtained by the receiving party from a third party without a breach of such third party's obligations of confidentiality; or (v) is required by law. 1.3. "F&B Outlets" has the meaning provided in the Credit Purchase Agreement. 1.4. "House Accounts" means an amount of House Account Credit that is stored, managed and redeemed through the inKind mobile app. 1.5. "inKind Content" means any content owned or licensed by inKind, including such content provided by inKind to Merchant for use in connection with the Service, including, but not limited to, trademarks, service marks, logos, domain names, trade names, graphics, images, text, software, and copyrightable material. 1.6. "inKind IP" means the Mobile Applications and any other content created by inKind or at inKind's direction or assigned to inKind. 1.7. inKind User" means any user of the Service, including the purchaser or recipient of a House Account. 1.8. "Merchant Content" means any content owned or licensed by Merchant (other than from inKind), including such content provided by Merchant to inKind for use in connection with the Service, including, but not limited to, trademarks, service marks, logos, domain names, trade names, graphics, images, text, software, and copyrightable material. 1.9. "Offering" means the offering of House Account Credit. 1.10. "Offering Website" means the website hosted and built by inKind which will display the Offering. 1.11. "Purchaser" means a person who buys House Account Credit. 1.12. "Services" mean the obligations of inKind as further defined in Paragraph 2 below. 1.13. "User Data" means any and all information relating to an inKind User including, but not limited to, name, address, email address, telephone number, other contact information, financial information, information relating purchases or preferences, and any other identifying information. A. inKind is authorized to promote and sell Credit on Merchant's behalf subject to the terms of this Agreement and the "Terms of Sale" located at https://www.inKind.com/terms. The Credit will evidence the dollar amount of goods and services redeemable at the F&B Outlet and will be sent to the Purchaser electronically once payment is received. The Purchaser will then redeem the Credit for products sold by the Merchant by presenting the Credit in electronic form at the F&B Outlet. Merchant is the issuer of the Credit and seller of the products for which the Credit can be used to purchase. If there is a conflict between this Agreement and the Terms of Sale, the Agreement controls. B. inKind is authorized to promote and sell Credit on Merchant's behalf through any platform, affiliates, business partner network, marketplace, or referral network. 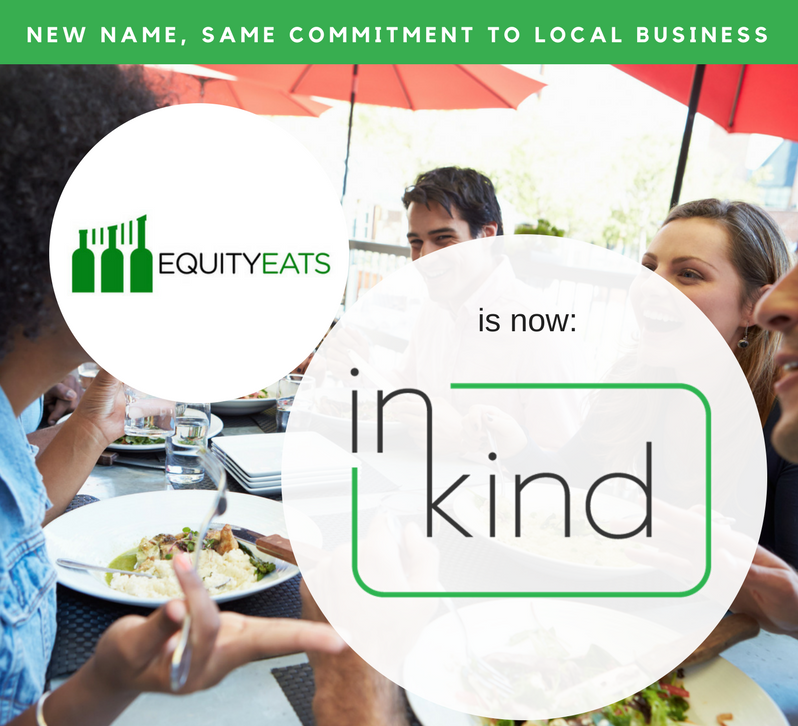 The Credit may be offered to all or part of inKind's user base or referral network and segmented by various variables including gender, age, location, and consumer preferences. The features may be offered through a variety of distribution channels, including, the Internet, www.inKind.com, affiliate websites, business partner network, email, mobile applications, other types of electronic offerings and other platforms or distribution channels owned, controlled, or operated by inKind, its affiliates or business partners. inKind will pay the agreed upon amount at the start of the Agreement ("Upfront Credit Purchase") and will make commercially reasonable efforts to ensure that the Offering Website will function in accordance with its specifications. A. Merchant is responsible for all purchaser service in connection with the use of Credit and for supplying all goods and services paid for with the Credit by a Purchaser. Merchant shall honor all Credit until redeemed in full. B. Merchant agrees to comply with the terms and conditions as stated on the Offering Website and to ensure that the Credit comply with all laws that govern vouchers, credit, coupons, and gift certificates, and any laws governing the imposition of expiration dates, service charges or dormancy fees, including but not limited to the United States Credit CARD Act of 2009. Merchant is solely responsible for compliance with any applicable escheat or abandoned or unclaimed property laws. Upon written request from Merchant, but only when required, inKind will provide Merchant with information in inKind's possession that the Merchant need to comply with its obligations under this Agreement. K. will not make any act or omission that has the result of interfering with or circumventing, the remittance or payment to us of any amount owed under this Agreement. A. Merchant will: (i) preserve, renew and maintain in full force and effect its corporate or organizational existence, if any; (ii) take all reasonable action to maintain all rights, and privileges necessary or desirable for the normal conduct of Merchant's business; and (iii) remain duly qualified, licensed and in good standing in Merchant's state of organization (if any) and every other state in which Merchant are doing business. B. Merchant will comply with: (i) all of the terms and provisions of its organizational documents and bylaws, if any; (ii) its obligations under its material contracts and agreements; and (iii) all laws and orders applicable to Merchant and its business, except where the failure to do so could not reasonably be expected to risk a material adverse effect on Merchant's financial condition, business or prospects or ability to perform its obligations under this Agreement. C. Merchant will pay, discharge or otherwise satisfy at or before maturity, all of its material obligations of whatever nature, including without limitation all amounts as they are or may be due under this Agreement. E. Merchant will promptly provide notice to inKind in writing upon becoming aware of any Event of Default or the occurrence or existence of an event which, with the passage of time or the giving of notice or both, would constitute an Event of Default. F. Merchant will use the Purchase Price solely for business purposes and not for personal, family or household purposes. G. Merchant will not make any act or omission that has the result of interfering with or circumventing, the remittance or payment to us of any amount owed under this Agreement. Each party acknowledges that it will have access to certain Confidential Information of the other party and each party agrees that it will not use in any, for its own account or the account of any third party nor disclose to any third party (except as expressly permitted), any of the other party's Confidential Information. party; (iii) is already in the possession of the receiving party at the time of disclosure by the disclosing party as shown by the receiving party's files and records prior to the time of disclosure; (iv) is obtained by the receiving party from a third party without a breach of such third party's obligations of confidentiality; or (v) is required by law or supervisory authority, the provisions of a law or ordinance, stock exchange regulation, a legal proceeding or a court judgment to be disclosed by the receiving party. Merchant may be asked to provide a logo, photograph, or other marketing materials ("Merchant Content") to be used to market the Credit. While inKind holds House Account Credit only, Merchant hereby grants inKind a non-exclusive, irrevocable, royalty-free and worldwide license to reproduce, use, display, perform, distribute, adapt, reformat, and create derivative works based upon some or all of the Merchant Content for the purpose of developing, distributing, and otherwise promoting the Credit. Merchant will not provide any Merchant Content for which it cannot grant the licenses described in this paragraph. A. Merchant acknowledge and agrees that, as between the parties, inKind owns all interest in and to the Offering Website, inKind trade names, logos, trademarks, service marks, domain names, social media identifiers, all data collected through or from the Offering Website, all audiovisual content, video recordings, audio recordings, photographs, graphics, artwork, text or any other content created by inKind or at inKind's direction, or assigned to inKind, and any materials, software, technology or tools used or provided by inKind to promote, resell or distribute the goods and services and conduct its business in connection therewith (collectively "inKind IP"). Merchant shall not use, sell, rent, lease, sublicense, distribute, broadcast, transmit, stream, place shift, transfer, copy, reproduce, download, time shift, display, perform, modify or timeshare the inKind IP or any portion thereof, or use such inKind IP as a component of or a base for products or services prepared for commercial use, sale, sublicense, lease, access or distribution, except that inKind grants Merchant a limited, non-exclusive, revocable, non-transferable, non-sub licensable license to use inKind's mobile merchant software application, solely for the purposes permitted by that software until all Credit have been redeemed. Merchant shall keep the inKind IP confidential, and shall not prepare any derivative work based on the inKind IP or translate, reverse engineer, decompile or disassemble the inKind IP. Merchant shall not take any action to challenge or object to the validity of inKind's rights in the inKind IP or inKind's ownership or registration thereof. Except as specifically provided in this Agreement, Merchant and any third party assisting Merchant with their obligations in this Agreement, are not authorized to use inKind IP in any medium without prior written approval from an authorized representative of inKind. Merchant shall not include any trade name, trademark, service mark, domain name, social media identifier, of inKind or its affiliates, or any variant or misspelling thereof, in any trademark, domain name, email address, social network identifier, metadata or search engine keyword. Merchant shall not use or display any inKind IP in a manner that could reasonably imply an endorsement, relationship, affiliation with, or sponsorship between Merchant or a third party and inKind. All rights to the inKind IP not expressly granted in this Agreement are reserved by inKind. A. inKind is authorized to initiate wires or ACH credit or debit transaction entries to Merchant's depository account at the depository financial institution provided to inKind by Merchant in writing ("Merchant Bank Account"). Merchant hereby acknowledges that inKind's origination of all ACH transactions to Merchant Bank Account must comply with provisions of U.S. law. ACH payments take up to five (5) business days to become available in the Merchant Bank Account after processing. B. Merchant will not attempt to bill or collect reimbursement from any third-party payor, for any of Merchant's services. Merchant will accept the amount received from inKind as payment in full for all services provided by Merchant to a Purchaser using Credit to purchase food, beverages and other products offered by the Merchant. You will maintain the bank account listed in the ACH authorization form until all obligations are satisfied under this Agreement. Additionally, you will ensure that all funds arising from future receivables are deposited in, or otherwise credited to, the bank account listed in the ACH authorization form, including, without limitation, by: (i) depositing all cash, checks and money orders into said account no later than the business day following the business day upon which any of these items are received by you; and (ii) directing all of your card processors to directly deposit all card payments into said account. You will not permit any event to occur that could cause a diversion of any funds from said account to any other account or entity. If Merchant change your operating bank account, Merchant will notify inKind immediately the updated banking information. In the event inKind is required to engage an attorney for the purposes of collecting any amounts due under this Agreement, Merchant agrees to pay on demand all costs of collection, including reasonable attorneys fees, incurred by inKind in enforcing the payment obligations of Merchant under this Agreement. inKind and its Affiliates will not be liable for any delay or failure to perform any obligation under this Agreement where the delay or failure results from any cause beyond inKind's reasonable control, including acts of God, labor disputes or other industrial disturbances, systemic electrical, telecommunications, or other utility failures, earthquake, storms or other elements of nature, blockages, embargoes, riots, acts or orders of government, acts of terrorism, or war. In the event the force majeure event continues for a period of more than sixty (60) days, either party may terminate this Agreement upon written notice to the other party. Merchant will be solely responsible for calculating, collecting and remitting any value added, use, occupancy, restaurant, privilege, gross receipts, sales or other applicable taxes (each a "Tax" and collectively, "Taxes") owed to federal, state, or local taxing authorities in connection with the sale or redemption of Credit. This Agreement does not create any third party beneficiary rights in any individual or entity that is not a party to this Agreement. All notices, requests, demands, required disclosures and other communications from inKind to the Merchant will be transmitted to the Merchant by email to the address provided under the Merchant's signature in the Credit Purchase Agreement. The Merchant shall send all notices or other communications required to be given hereunder to the Company via email at notices@inKind.com with a hard copy sent to: inKind, 218 Fletcher St, Austin TX 78704, Attention: Merchant Support. A notice delivered personally will be deemed given only when acknowledged in writing by the person to whom it is delivered. A notice that is sent by certified or registered mail will be deemed given three (3) business days after it is mailed. A notice that is sent by Federal Express or other recognized and reputable national overnight courier will be deemed given on the business day following the date such notice is accepted by such overnight courier for delivery to the intended recipient. Any email notice given by inKind shall be deemed to have been delivered and received on the first business day following that on which the electronic mail has been sent (assuming that there is no error in delivery). Any party may designate, by notice to all of the others, substitute addresses or addressees for notices; and, thereafter, notices are to be directed to those substitute addresses or addressees. Upon any Event of Default, (a) a sum of money calculated by multiplying the dollar amount of Credit not yet redeemed, by the Buyback Rate shall become immediately due and payable by Merchant to inKind; (b) inKind may commence an action against Merchant to collect all amounts owed in connection with this Agreement and/or charge and recover from Merchant all of inKind's out-of-pocket costs and expenses, including reasonable attorneys' fees, arbitration costs, and/or court costs, incurred by inKind in connection with the defense, protection or enforcement of inKind's rights under this Agreement (including, without limitation, in connection with any bankruptcy proceeding) and any other fees that may be due and owing (collectively, "Costs of Collection"); (c) withdraw funds from any of Merchant's bank accounts listed below in the ACH authorization or the Guarantor's account by ACH debit, up to the unpaid amount that Merchant owes inKind under this Agreement; and (d) inKind may exercise any and all rights or remedies available to a secured creditor under Article 9 of the Uniform Commercial Code or analogous state laws. All rights available to us are cumulative and not exclusive of any other right or remedy available to us in law or equity. Merchant acknowledges that it is assigning food and beverage credit to inKind in exchange for cash and that such a transaction constitutes the assignment of property pursuant to the Uniform Commercial Code or analogous state statutes. In order to secure your full performance of Merchant's obligations under this Agreement, Merchant grants to inKind a continuing security interest in and to all of Merchant's present and future accounts, receivables, chattel paper, deposit accounts, personal property, goods, assets and fixtures, general intangibles, instruments, equipment and inventory (as those terms are defined in Article 9 of the Uniform Commercial Code ("UCC")), wherever located, and with respect to these items, all proceeds now or hereafter owned or acquired by Merchant (collectively, the "Collateral"). Upon any Event of Default, inKind may exercise any and all remedies available to secured parties under the UCC or any other applicable law. inKind has the right, but not the obligation, to create, sign on Merchant's behalf and file any and all filings that inKind determine are reasonably necessary to perfect its security interest in the Collateral, including without limitation, one or more UCC-1 financing statements. Merchant agrees that it will, from time to time, promptly execute and deliver all instruments and documents (including any account control agreements), and take all further action, that may be necessary or appropriate, or that inKind may reasonably request, to perfect inKind's security interest in the Collateral against Merchant and all third parties or to enable inKind to exercise and enforce its rights and remedies hereunder. The Merchant will not assign this Agreement, or delegate or sublicense any of the Merchant's rights under this Agreement, without inKind's prior written consent. Any assignment or transfer without inKind's prior written consent is void. Subject to the foregoing, this Agreement will be binding upon, and inure to the benefit of the parties and their respective successors and assigns. The failure by a party to enforce any provision of this Agreement will not constitute a present or future waiver of such provision nor limit that party's right to enforce such provision at a later time. All waivers by a party must be in writing to be effective. If any portion of this Agreement is held to be invalid or unenforceable, the remaining portions of this Agreement will remain in full force and effect. Any invalid or unenforceable portions will be interpreted to affect the intent of the original portion. If such construction is not possible, the invalid or unenforceable portion will be severed from this Agreement but the rest of the Agreement will remain in full force and effect. Such arbitration shall take place by telephone or video-conference, if practicable as determined by the arbitrator. Merchant agree that by entering into this Agreement, you and inKind are each waiving the right to a trial by jury or to participate in a class action. Notwithstanding the foregoing, either party may seek relief in a court of competent jurisdiction solely to seek immediate injunctive relief where such Party stands to suffer irreparable harm absent such relief. The following clauses of this agreement shall survive the termination or expiration of this Agreement for any reason: clauses 4A, 7, 9, 15, 22, 23 and any other terms herein which expressly state that such terms will survive or which by their nature are required to survive to give effect to the surviving terms stated to survive, shall survive the termination or expiration of this Agreement for any reason and will continue in full force and effect subsequent to and notwithstanding such termination, until such provisions are satisfied or by their nature expire. The laws of the State of Delaware, without reference to conflict of law rules, govern this Agreement and any dispute of any sort that might arise between the Merchant and inKind. In the event of any dispute, claim, or disagreement arising from or relating to this Agreement or the breach thereof, the parties hereto shall use their best efforts to settle the dispute, claim, or disagreement. To this effect, they shall consult and negotiate with each other in good faith and, recognizing their mutual interests, attempt to reach a just and equitable solution satisfactory to both parties. If they do not reach such solution within a period of 30 days, then, upon notice by either Party to the other, all disputes, claims, or differences shall be finally settled by a single arbitrator in an arbitration administered by the American Arbitration Association in accordance with the provisions of its Commercial Arbitration Rules. Such arbitration shall take place by telephone or video-conference, if practicable as determined by the arbitrator, or in Austin, Texas if in-person hearings are required. Merchant agrees that by entering into this Agreement, you and inKind are each waiving the right to a trial by jury or to participate in a class action. Notwithstanding the foregoing, either party may seek relief in a court of competent jurisdiction solely to seek immediate injunctive relief where such Party stands to suffer irreparable harm absent such relief. INKIND AND ITS AFFILIATES MAKE NO WARRANTIES, EXPRESS OR IMPLIED, GUARANTEES OR CONDITIONS WITH RESPECT TO SERVICES. THE MERCHANT UNDERSTANDS THAT USE OF THE SERVICES IS AT ITS OWN RISK AND THAT INKIND PROVIDES THE SERVICES ON AN "AS IS" BASIS "WITH ALL FAULTS" AND "AS AVAILABLE." INKIND DOES NOT GUARANTEE THAT THE SERVICES WILL BE UNINTERRUPTED OR ERROR FREE. TO THE EXTENT PERMITTED UNDER THE LAW, INKIND EXCLUDES ANY IMPLIED WARRANTIES, INCLUDING FOR MERCHANTABILITY, SATISFACTORY QUALITY, FITNESS FOR A PARTICULAR PURPOSE, WORKMANLIKE EFFORT, AND NON-INFRINGEMENT. The Merchant acknowledges and agrees that it will rely on its own judgment in using inKind's services. inKind (i) makes no representations with respect to the quality of any opportunity; (ii) does not guarantee the performance of any Purchaser; (iii) is not an investment adviser, does not provide investment advice and does not recommend securities transactions and any display of information about an investment opportunity does not constitute a recommendation as to the appropriateness, suitability, legality, validity or profitability of any Offering. Each party hereto represents and warrants to the other that it has full power and authority to enter into and perform its obligations under this Agreement, and that the person signing this Agreement on behalf of such party has been properly authorized and empowered to enter into this Agreement on its behalf. INKIND & ITS AFFILIATES WILL NOT BE LIABLE TO THE MERCHANT FOR ANY DAMAGES WHETHER DIRECT, INDIRECT, INCIDENTAL, SPECIAL, CONSEQUENTIAL, OR EXEMPLARY DAMAGES (INCLUDING DAMAGES FOR LOSS OF PROFITS, GOODWILL, USE, OR DATA) OR OTHERWISE, EVEN IF A PARTY HAS BEEN ADVISED OF THE POSSIBILITY OF SUCH DAMAGES. FURTHER, NEITHER INKIND NOR ANY OF ITS AFFILIATES WILL BE RESPONSIBLE FOR ANY COMPENSATION, REIMBURSEMENT, OR DAMAGES ARISING IN CONNECTION WITH: (A) THE MERCHANT'S INABILITY TO USE THE SERVICES, INCLUDING AS A RESULT OF ANY (I) TERMINATION OR SUSPENSION OF THIS AGREEMENT OR THE MERCHANT'S USE OF OR ACCESS TO THE SERVICES, (II) INKIND'S DISCONTINUATION OF THE SERVICES, OR, (III) ANY UNANTICIPATED OR UNSCHEDULED DOWNTIME OF ALL OR A PORTION OF THE SERVICES FOR ANY REASON, INCLUDING AS A RESULT OF POWER OUTAGES, SYSTEM FAILURES, OR OTHER INTERRUPTIONS; (B) THE COST OF PROCUREMENT OF SUBSTITUTE GOODS OR SERVICES; (C) ANY INVESTMENTS, EXPENDITURES, OR COMMITMENTS BY THE MERCHANT IN CONNECTION WITH THIS AGREEMENT OR THE MERCHANT'S USE OF OR ACCESS TO THE SERVICES; OR (D) ANY UNAUTHORIZED ACCESS TO, ALTERATION OF, OR THE DELETION, DESTRUCTION, DAMAGE, LOSS, OR FAILURE TO STORE ANY DATA, OTHER THAN IN THE CASE OF GROSS NEGLIGENCE, FRAUD OR WILLFUL MISCONDUCT. IN ANY CASE, INKIND AND ITS AFFILIATES' AGGREGATE LIABILITY UNDER THIS AGREEMENT WILL BE LIMITED TO THE AMOUNT THE MERCHANT ACTUALLY PAYS INKIND UNDER THIS AGREEMENT FOR THE SERVICE THAT GAVE RISE TO THE CLAIM. The Merchant shall indemnify against, and hold inKind, its affiliates and their representatives and agents harmless from, any and all actual or direct losses, liabilities, judgments, arbitration awards, settlements, damages and costs (collectively, "Losses"), resulting from or arising out of any third party suits, actions, claims, demands or similar proceedings (collectively, "Proceedings") to the extent they are based upon the acts or omissions of the Merchant, or the Merchant' business' directors, officers, managers, employees or other agents or from the receipt or use of the Services (including representations about the services) by the Merchant, or the Merchant's business' directors, officers, managers, employees or other agents. The Merchant shall indemnify inKind, its affiliates and their representatives and agents harmless from, any and all Losses arising from or related to the Merchant's breach of laws, rules or regulations. This Agreement is the entire agreement between the Merchant and inKind regarding the subject matter of this Agreement. This Agreement supersedes all prior or contemporaneous representations, understandings, agreements, or communications between the Merchant and inKind, whether written or verbal, regarding the subject matter of this Agreement. This Agreement may be executed in two or more counterparts, each of which shall be deemed an original, but all of which together shall constitute one and the same instrument. Counterparts may be delivered via facsimile, electronic mail (including pdf) or other transmission method and any counterpart so delivered shall be deemed to have been duly and validly delivered and be valid and effective for all purposes. Want to speak to our CEO? Leave your contact info below, and he'll be in touch to answer any questions you have about inKind. New name, same commitment to local business.